Discussion in 'GPS Tracks - Central, Texas & Gulf States' started by Cannonshot, Dec 18, 2011. I put together a GPS file for many waterfalls in Michigan, Minnesota, and Wisconsin. This file can be used when planning rides in the area. I also started a companion thread where people are posting pictures of the falls. Hopefully, we'll develop a pretty good collection of pix that might inspire some people to plan a ride to visit some of these falls themselves. I can post GPX again so here you go. Downloaded 770 times from a prior private site. 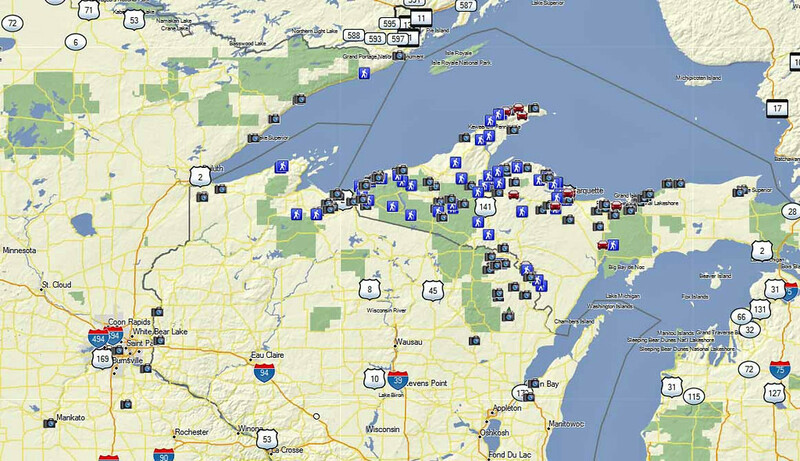 Waterfall route NE WI downloaded 761 times from a prior private site. Revision 5 adds some falls and tightens up some locations. Downloaded 677 times from prior private site. Rev 1 downloaded 741 times. Original downloaded 803 time.